Unlike the European Union, World Trade Organization, and many other prominent intergovernmental organizations, the Commonwealth isn't built around any kind of trade agreement or economic treaty, though its member countries do tend to favor trading with each other. Instead, it's mostly a framework for promoting democracy and human rights, raising money for economic development, and nurturing cultural ties between its member countries. Commonwealth-wide organizations coordinate international cooperation on education, professional development, and most famously sports: The Olympics-style Commonwealth Games are held every four years as a symbol of friendship between countries with historical ties to each other. 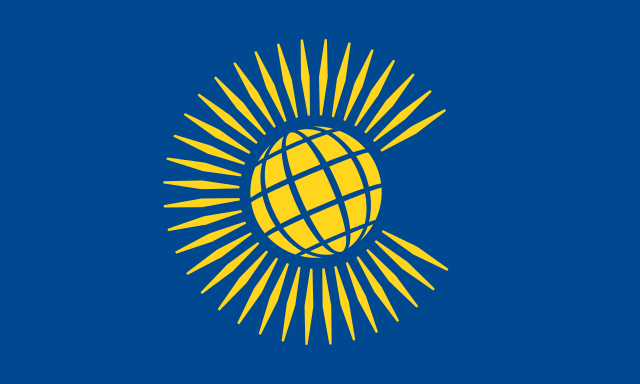 Today there are 53 Commonwealth nations - about a quarter of all the world's countries - all of them independent countries that also have membership in the UN. Participation in the Commonwealth is completely voluntary, and a member country can leave or reapply whenever it wants. In the history of the Commonwealth, six countries have quit the organization, and one country, Fiji, was pushed out in 1987 over a military coup. Ireland, a member from the organization's beginning, became the first to leave when it broke ties with the British monarchy and became a republic in 1949. At the time, the Commonwealth was still only for semi-independent "Dominions" sharing the British Queen or King. South Africa then left in 1961 over the apartheid controversy, and Pakistan quit in 1972 when the Commonwealth recognized Bangladesh's secession. Three more countries - Zimbabwe, the Gambia, and the Maldives - have withdrawn over the past fifteen years after being accused of disrespecting democracy or human rights. Fiji, South Africa, Pakistan, and the Gambia have all since rejoined. Another four former members countries are gone from the Commonwealth simply because they don't exist anymore: In 1949, semi-independent Newfoundland merged with Canada; in 1963, Malaya merged with Singapore, Sarawak, and North Borneo to form Malaysia (with Singapore splitting off again two years later and joining the Commonwealth separately); and in 1964 Tanganyika and Zanzibar merged to form Tanzania. All the new countries that resulted from those mergers are now Commonwealth members themselves. It's a common misconception that all Commonwealth countries recognize the British Queen as their leader. Although Queen Elizabeth II is the official "Head of the Commonwealth" for now, most member countries don't recognize any king or queen in their own constitutions, and a few have their own separate monarchs. Still, 16 of the 53 Commonwealth countries do recognize the queen as their official leader, despite having fully independent governments. These countries are a subset of the Commonwealth known as the "Commonwealth Realms". Learn More: Which Commonwealth countries is the queen head of? Under a new government, Gambia rejoined the Commonwealth in February 2018, four years after leaving. The small Indian Ocean country of the Maldives chose to exit the Commonwealth in October 2016 after being threatened with suspension. In October 2013, the eccentric ruler of the Gambia, a tiny country in West Africa, withdrew unexpectedly from the Commonwealth, complaining of "neo-colonialism". How can 16 of the Commonwealth countries all share the same queen, but still be independent? Which countries are they? Find all the answers in this popular PolGeoNow feature!